I've been trying to write for awhile, my internet keeps going off... apparently it will now be out until 8... a couple of hours. Valentina and I took the opportunity to make smoothies and play a board game. It was fun going back to basics, I even ignored the phone as it had to be recharged in my room. Valya decided to take a bath, so I took the opportunity to write my post in an email. Then I can take an hour and catch up on all your blogs . I was finally able to find a couple of stores that sold some cute and unique shirts. I even found two dresses and two skirts. I had a little fun going out and trying things on until I got over heated. The good thing about getting new clothes was one I have clothes that fit me and two it gave me a reason to clean out my closet... Then we cleaned out Valentina's too... both of them look so good, we now see what we have. I still haven't sleep, I'm beginning to wonder if I will ever sleep a full night again? I want to believe that somehow it will resolve itself... I know of only one way that I can see and unfortunately it's not an option. Instead I just keep getting by with broken sleep, how long can I function like that? I never thought I could could last six months but I'm here passing the six month mark. Why do some trials we have to deal with seem so unfair...? I have friends I know dealing with challenges that make me wonder how they get up each day. Then I realized that I too could curl up and stay in bed day after day but I don't allow myself to wallow there... Some days are tougher than others, a good day is when I don't cry on the way to work.. or when someone makes me laugh... or when I feel that one day all of this will make sense. I want to rise above this latest challenge... not just survive it but really grow from it. Otherwise I will continually play this scenario out, over and over. Truthfully I'm tired of the same results... I deserve better and I know I expect better. It is scary to trust again, especially when the person I trusted more than anyone changed in ways I didn't think was possible. I have asked myself why I would want to ever take that chance again? Then I heard this somewhere, we continue to want to fall in love, because it is the closest thing to magic... I want the magic. . .
Clean out the Closet is always a nice feeling ,like a new beginning! fix some problems and makes things better! Nice writing. I want the magic too. God bless you. I'm sure you'll fall in love again and this time it will be the right person .... soon the magic will be your Luanna!! Thank you so much for your comment earlier dear, and it is very hard when people change for the worst and you get let down. I hope you find what you are looking for dear. I am sorry that you are feeling sad lately. I wish you peace and to find that inner happiness again soon dear! This post inspires my whole week! Thank you Launna! Internet going off can be quite irritating.On the other hand I just want to say your posts and writing really inspire me. I hope for nothing but good positive things for you this year. I too believe that we grow with every challenge we face in life!! Somehow or other it teaches us something and increase our experience!! You know your will power keeps me going too. How you seek to further your interests all the time and move with that smile. Genuinely, for who you are, thank you. You deserve the magic! Everyone deserves the magic! But sometimes it does take a long time to find it. Anything good is worth waiting for, right? And it is worth the effort and someday the right person will waive their magic wand and your life will bloom like you can't imagine. Sure do wish you could get sleep! Six months is a lot. I hope it will solve though. Have you thought about using natural remedies to calm down and/or get some sleep? Like herbs? I think we all want the magic. And we deserve it too, dammit! :-) But it's true that we can't just expect the magic to happen, and whenever and wherever possible we should take matters in our own hands! i hope you will have a magic time asap. Loved this post. I've never heard that phrase before and it's really beautiful. 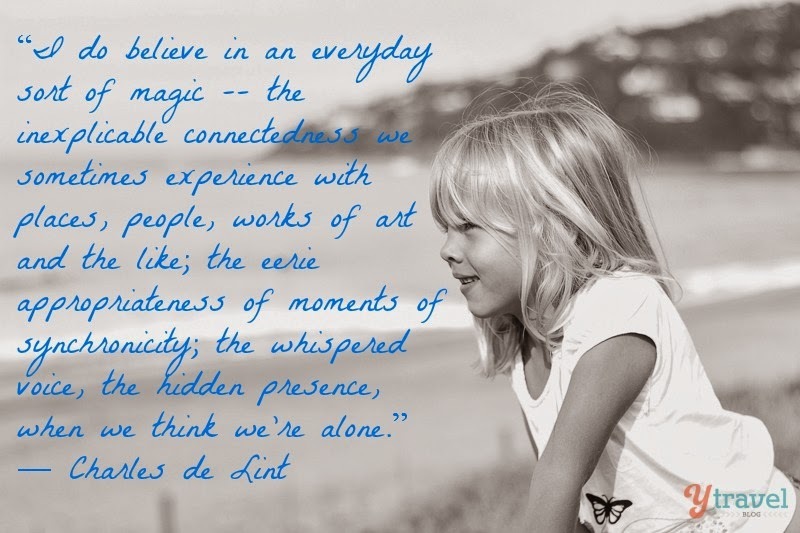 Hopefully we're all going to find that magic in some moment. As for the challenges, they make us grow even if don't realize in that moment. Even the little challenges! If we could realize how short life is we'd live a different way. It's good you are trying that different one. Maybe you could try yoga for a deep sleep. Yay! I'm happy you finally found a store that sells what you like. Hope you have a wonderful week ahead. I sincerely hope that everything works out for you, Launna. You deserve it! It is so refreshing to clear out things from the wardrobe that have not seen the light of day for some time. Spring is the perfect season for this and how wonderful to have found new clothes just waiting to be worn. Now you must find occasions to wear them! Ahhh no internet! Noooo! How do you function hehehe! It's pretty scary how it runs our lives these days. I went through a period of no internet connection last month that lasted 3 days and it killed me. I'm sorry to hear you've yet had relief from a good nights rest, have you tried exercising more than usual. Like amping up a workout or going for a longer walk? I only say this because I've noticed in adding some simple workout moves like crunches and lunges while I'm watching a soap opera has improved my sleep somewhat. I've noticed that when I don't do this on top of my usual walk I have more difficulty at night. It could be something to try. While you're watching television or a favorite program. It makes it much more bearable while you're focus is elsewhere hahaha! Do you have any dream that doesn't depend to the others? I read your profile again. I think at first that people is good as well. We believe in true love, we can only be with another person that believes in true love. Sometimes the power/internet going out is a blessing. It is extremely frustrating at the time, but it helps us get back to the basics like you said! Glad you were able to find some things you like lately. Keep your positive attitude up and I'm sure you will find the magic! Just stay open and the magic will come! I am proud of you and your ability to care so much for people. Someone deserving will see that someday and you will be happy! Have a lovely evening dear Launna! 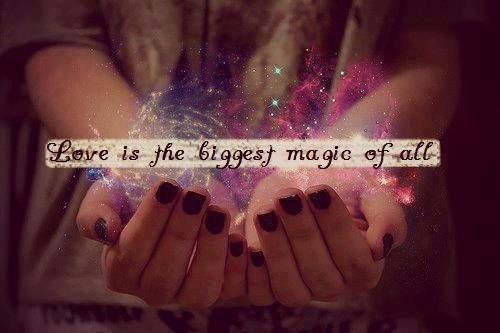 I think almost all of us want the magic of love. I am sure there are tons of people who would want to be there for you. You are just that mush nicer than a lot of people. Here's to magic, and cheese. Because I think they're interchangeable. Thanks for each of your sweet comment on my blog, have a great day!!!! I'm glad you bought yourself some cute clothes...I've found that when I dress in cute comfortable clothes, my self-confidence is much higher and it even contributes to staying on my exercise and healthy eating program. Launna!! Even i sometimes ask myself, why is life always so unfair!! Why do bad things happen to good people, etc etc! But then, it's all in our mind. We've tried criticizing ourselves. IT DIDNT WORK! So, for a change, let's be proud of ourselves!! And praise ourselves! Amiga boa tarde seja abençoada em o nome de Jesus. the magic will come sweety! Launna:)... I've been taking my day off from blogging one or two days a week lately, otherwise, I cant get my real work done and other priority things in my life, on top of all, I have little once those my kids I put over anything else as well. I'm glad you had a good time off with your girl, it's healthy though. Thank you for your sweet sense also Launna....Being a better person of each day is more benefits to lives!!!! I wish you a better and better of everything those you've wished for, you'd deserve that:). oxox. the magic always comes right on time! I love those moments when we unplug and go old school. Game time is fun and we love that here too. I hope something works out with your sleep, I can imagine how many ways that affects you!! Amiga tenha um abençoado dia. Always when I have the feeling to forget what love and life is about, I read this. There is so much deep in it! You know, never give up. There will be nights when you will sleep. And then you wake up and you know that something changed! You already started by cleaning out your closed!! Two new peaces for a new life!! Never forget that hun! You are special!!!! Sorry to hear about your internet being out only because I know how annoying that can be Luanna and seems like an eternity until it's fixed. Also, it's nice the two of you were able to play some boardgames and I think Valentina is such a beautiful name btw. Also, I hope your sleep gets better, that is never good to be going through where you just keep waking up. Hope you find some R&R this weekend. I love that you're so dedicated to your followers! And growing from our challenges - that's just it, isn't it. We can survive, we can give up, but we can also grow. Thank you so much for a sweet dropped by Launna. I know, wayyyyy too busy, I needed more than two hands right now:)... thx for understand:). I wish your Friday is as lovely as you. oxox. I want the magic...oh yeah...I do too. Happy Friday Launna...you are totally special. well at least you can sleep a little - that's also a good sign. there were times in my life when i couldn't sleep a single hour ... and that remained for some days, up to a week - always when i had big problems or too much to think about ... it's normal that you cannot focus on sleeping good, with all those things you've been through - but you'll get through. i'm sure of it. life is full of so many beautiful things - beautiful skirts, and smoothies, and spending quality time with the ones you love, enjoying the bright blue sky and the first warm days of this year. just try to enjoy what you have. you're having much more than you think you've got. thanks for your dear words. i'm moving into my new flat in the last days of may. but before there will be the wallpapering and other works. but i'm looking forward to this. yes, it's very exciting. but it's negatively exciting when you're searching and searching and still won't find a flat. i was so relieved when i finally found my dream flat, after 4 months of searching. really, i had very little sleep back then, too. Thank you for your kind words on my blog Launna. Have a wonderful weekend. Just have to forge on and persevere! Aqui no Brasil tudo é mais caro. Mas não me arrependi de ter comprado a paleta de sombras! Si ya quiere volver a creer en el amor es que ha dado un paso de gigante. Poco a poco, paso a paso el camino será andado. Ciao Launna, fantastic and magica l post! I did both set for a contest. Thank you for your comment. Have a great day! !